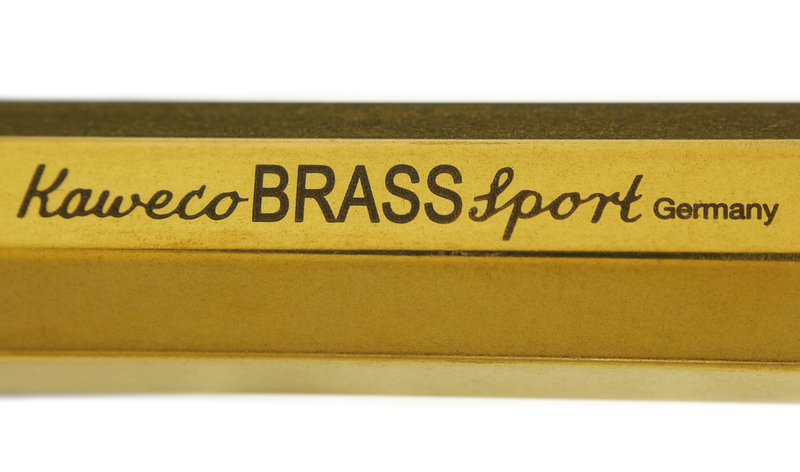 While many fountain pens feature a lacquer surface over a brass cap and barrel, the Kaweco Sport Raw Brass shows off this metal material to memorable effect. 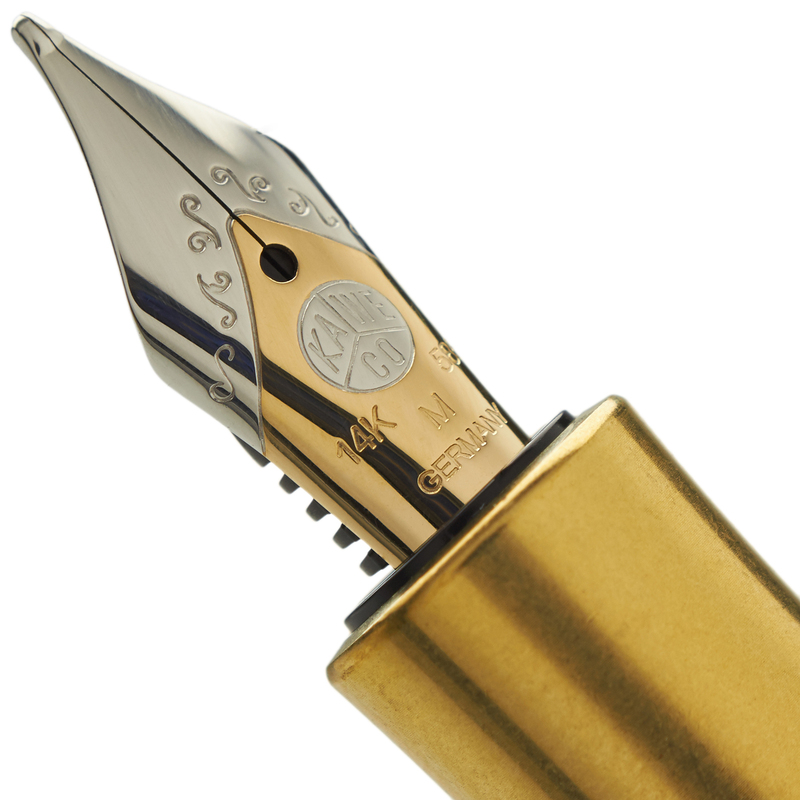 A durable and reliable writing instrument made even more versatile when equipped with your choice of 14k solid gold nib, this is a pen that is bound to be come a favorite carry for many. 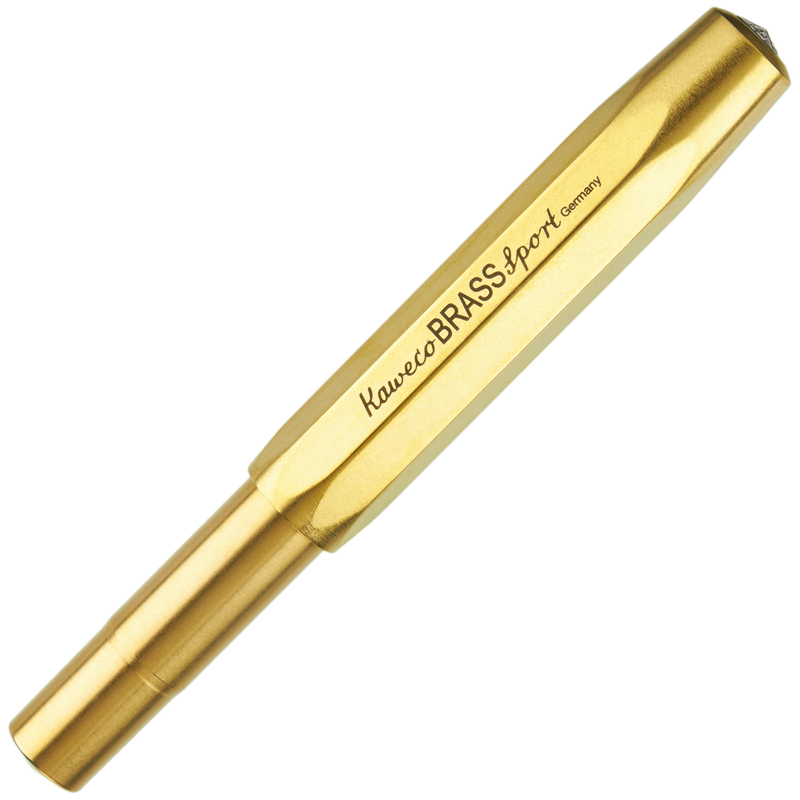 As with any pen you purchase from us, the Sport Raw Brass qualifies for our complimentary nib tuning services, while the Bock-made 14k nibs can also serve as highly appropriate starting points for many of our varied nib customizations. This cartridge-converter pen can fill using any bottled fountain pen ink when fitted with the reusable converter, provided by us free of charge with your order. 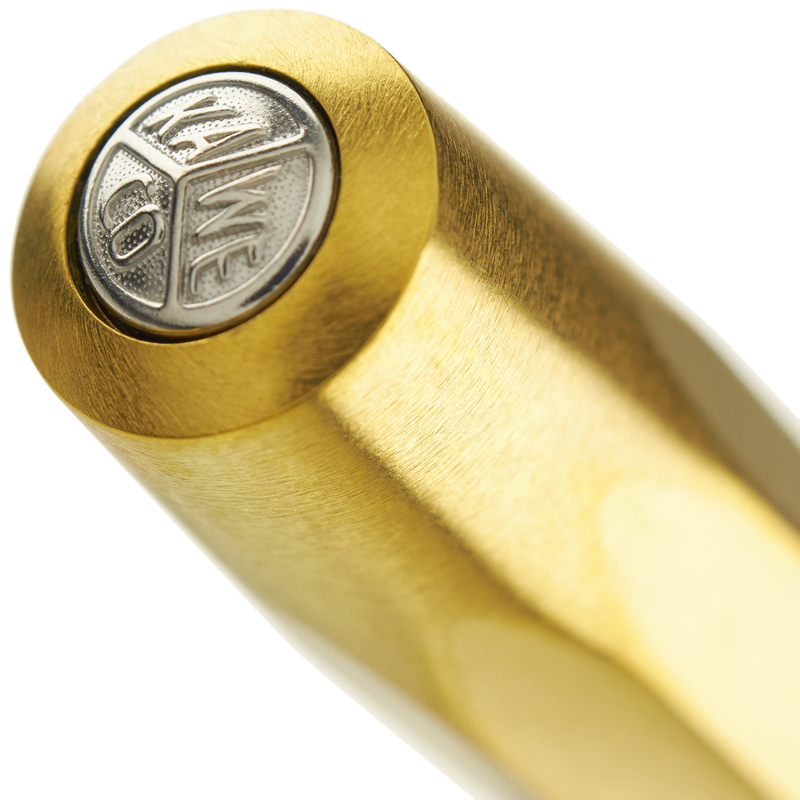 The pen can also use international size disposable ink cartridges, including Kaweco brand cartridges.